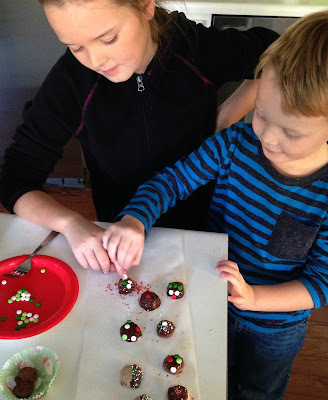 Simple holiday treats for the WHOLE family to ENJOY! 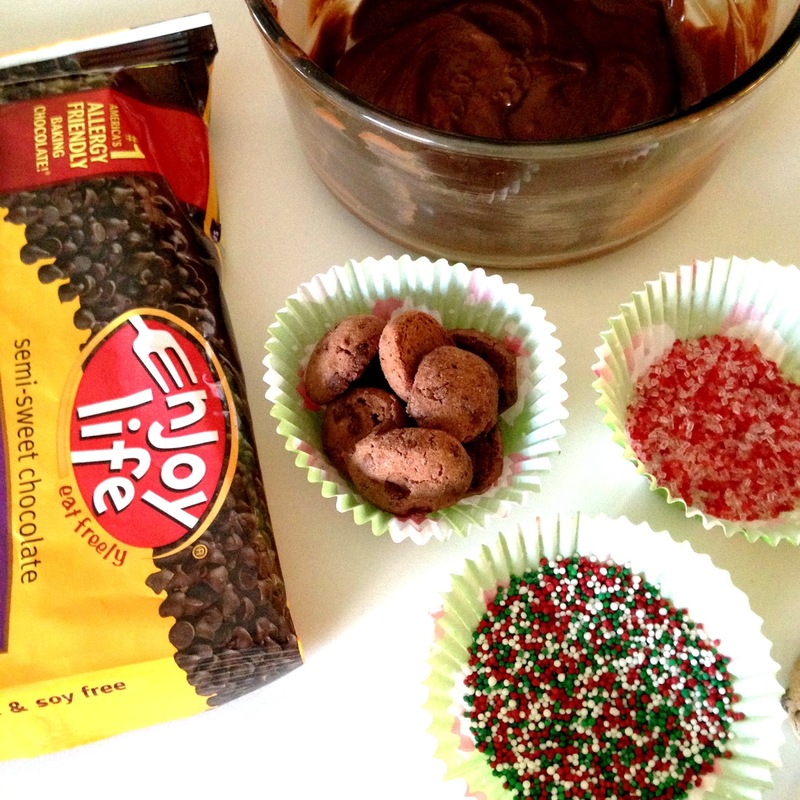 No need to worry about gluten or food allergies when it comes to Enjoy Life Foods Minis! 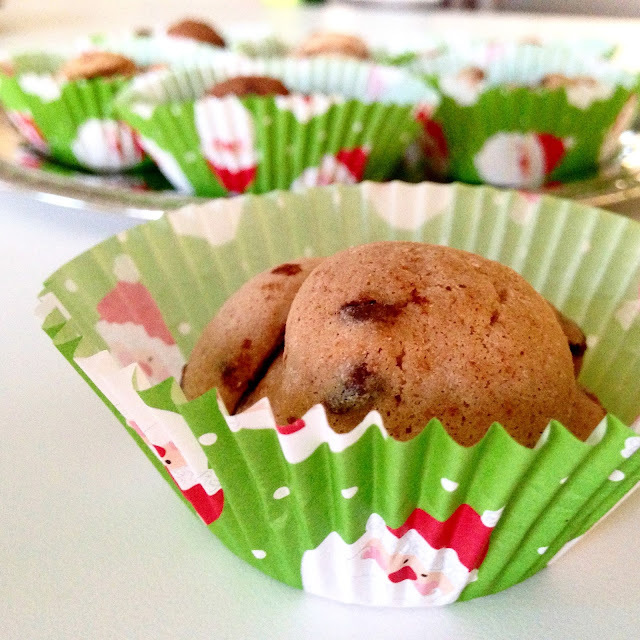 These little cookies are bite size and a perfect finger food treat to share this holiday season. With the "To Do" list as far as the eye can see, make it easy on yourself and have a little help this holiday season! Don't have time to make cupcakes or cookies for the school party or family coming in for the holidays? Well here's a great idea for you! Simply place 5-6 minis in cupcake cups and you're done! 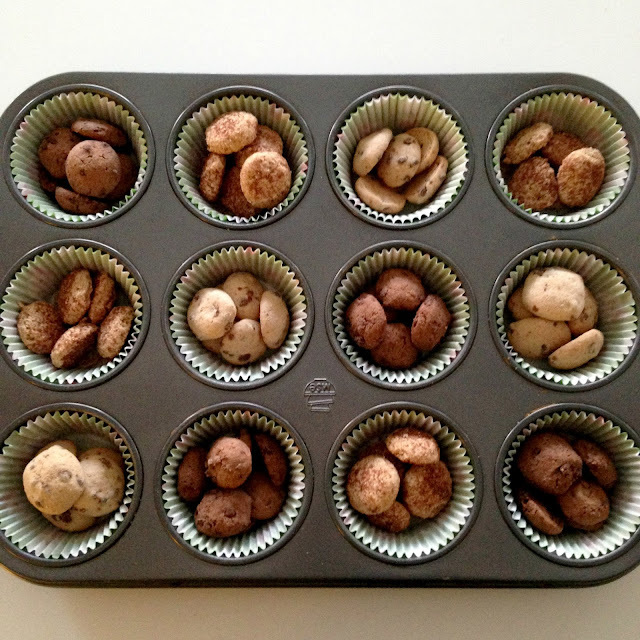 You can add marshmallows, chocolate chips and sprinkles to the minis too. Mini Cookie Cupcakes ready to go! And guess what else you can do to make these Enjoy Life Foods Minis festive for the holiday season? You can dip them in CHOCOLATE!! Super easy to do and your kiddos can help too. To prepare your chocolate, melt Enjoy Life Foods Semi-Sweet Chocolate Morsels in a microwavable bowl for 30 seconds, then stir. Continue with 30 seconds intervals, stirring - you don't want to overcook or burn the chocolate. For our chocolate, which we used half the bag, it took (4) 30 second intervals in the microwave. 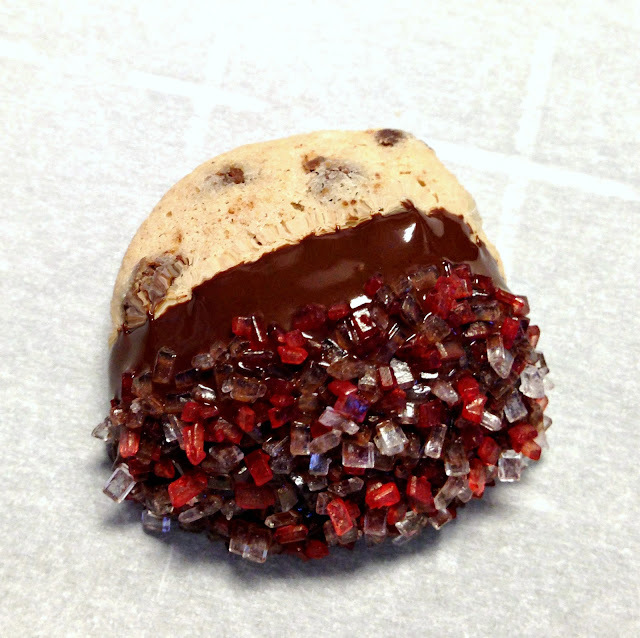 Simply dip a cookie half way into the melted chocolate and then into sprinkles and place on parchment paper. The fancy version is below. Perfect for a New Year's eve party - Adult and kid friendly too. When it comes to special dietary needs, having a helping hand with brands like Enjoy Life Foods can not only be a lifesaver, but a timesaver! You can purchase Enjoy Life Foods Minis over on their website. You can buy 6 boxes (6 to go packs in each box) of Minis for $25! Free Shipping over $49! 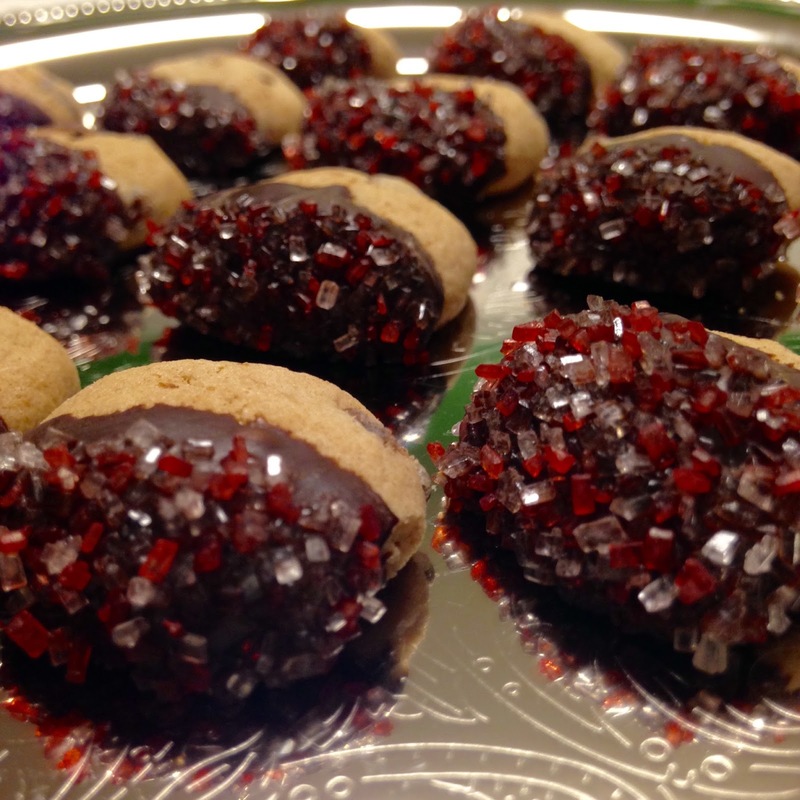 And you can have a chance to WIN some MINIS and SEMI SWEET CHOCOLATE MORSELS below! 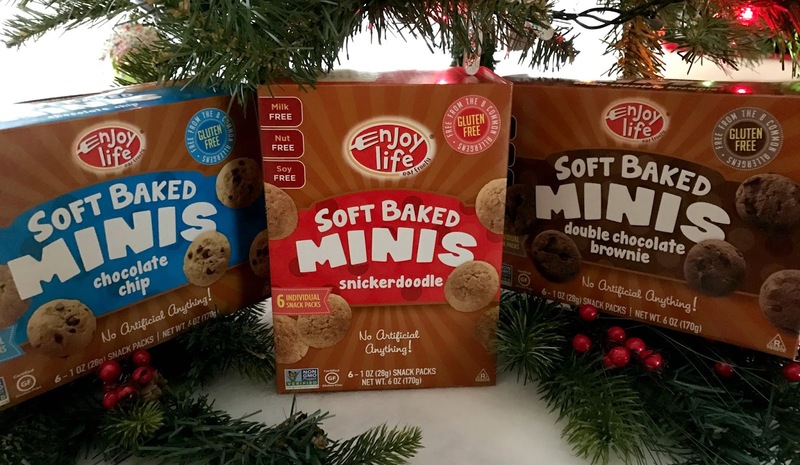 Ring in the New Year with Enjoy Life Foods products - from baking mixes, cookies and their NEW ProBurst Bites - eat freely and share the love. **This is a sponsored blog post with Enjoy Life Foods. I have received compensation and/or product from them. All opinions are my own and I only work with brands that my family and I truly enjoy. 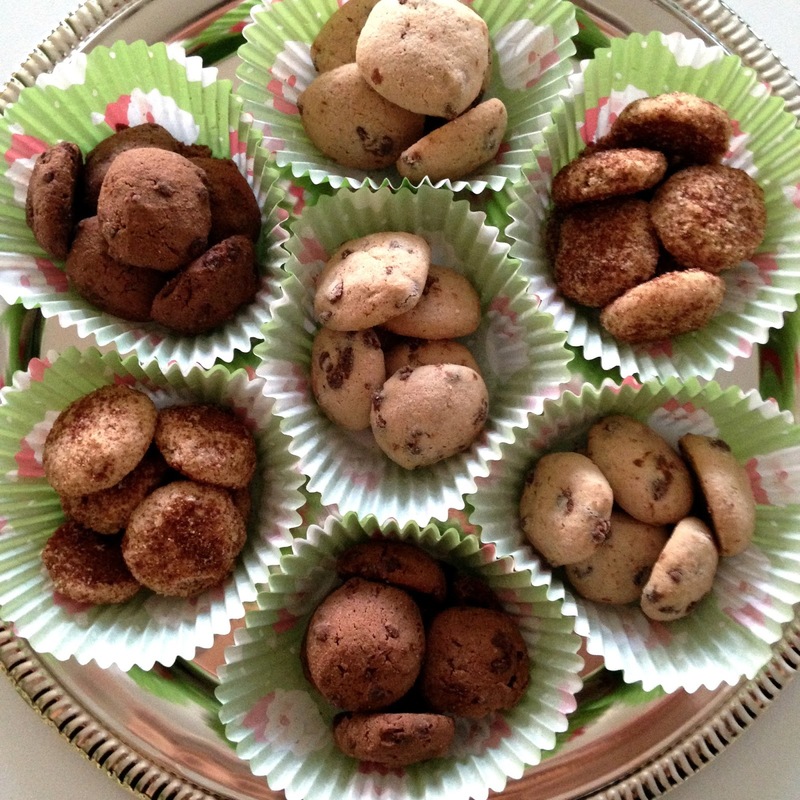 Those chocolate dipped mini cookies are too cute! I have been watching my stores for these. We do the cookies every day in the lunch. these are great. I was hoping to make some chocolate chex mix! Chocolate chip cookies, of course. Peanut Butter chocolate chip or oatmeal chocolate chip cookies! I like to bake chocolate chip cookies - thanks! We love to make chocolate chip cookies, but used them yesterday to make muddy buddies. Yum!